9 July 2013 - Yesterday the third in a series of hunger strikes in California prisons began after months of preparation and many more months of attempts to negotiate with the California Department of Corrections and Rehabilitation (CDCR) to meet basic humyn rights. According to the CDCR, around 30,000 prisoners refused food on the first day, indicating this will likely be the largest show of unity in action that California prisoners have ever made. That's about 20% of the state prison population and is more than twice the number of people that the CDCR reported participating in the second round of the hunger strike in 2011, demonstrating the success of the last two years of campaigning around the mutual interests of prisoners in demanding humane conditions. We expect the numbers not going to work to increase, as a diversity of tactics was promoted depending on one's situation, with indefinite hunger strike being taken up by the most dedicated and most abused prisoners. While the Pelican Bay Short Corridor Collective has pledged to strike until their original five core demands are met, the last year has allowed prisoners to adapt the demands to address the most pressing concerns where they are at. While we have no official reports yet, comrades in other states have also pledged to participate in the demonstration. We will post those reports as they come in. 1. Paige St. John, LA Times, 8 July 2013. In recent months the idea of developing a collective health campaign has been tossed around within United Struggle from Within in California. This was to build on and expand on the long-standing agreement to end hostilities by developing more peaceful activities that would help prisoners see each others' commonality. It also came in response to the proposed new Security Threat Group policies that greatly expand repression in California prisons and serve to isolate and divide. "Exercise is another aspect that needs to be taken seriously by all revolutionaries, exercise is so important that the state has targeted it and labels it STG activity. They will validate you and send you to solitary confinement for decades for doing push ups with a comrade. This is how much they see exercise as a threat, because it strengthens us as humyn beings and it is a weapon we use to combat the effects of prison life. The state seeks to strip us of any forms of resistance, anything we draw strength from hinders their project of instilling a sense of helplessness in all prisoners so that we go along with their oppression and never dare to resist the oppressor. One way to fight the STG labeling of exercise is for all prisoners to work out together. If all prisoners work out at once it can no longer be seen as STG activity. I believe this is a positive step forward for a united front, however I don't think the state will thus be prevented from labeling group exercise STG activity, just as all prisoners of all nationalities participate in hunger strikes yet it is still seen as STG activity. But prisoners working out together would also be an unprecedented step forward. Since most group exercise are done in the hole and most holes consist of cages side-by-side, I can see a future exercise regime consisting of each cage calling out an exercise, regardless of what nation or sub-group one belongs to, and everyone exercising together. In the SHU we can't see no one, as everyone is in an individual cell. Some people work out and some don't so this is a little more difficult. If you find yourself in a hole and people are in individual cages, one is free to jump in and participate with those exercising but the ideal is to have everyone participate. This is something to work on and begin discussing, by working out together it does not mean we are one car, it does not mean you're joining another nation or LO, it's simply exercise. If we can starve together why not sweat together? Today's prisons are no longer like the prisons of our grandfathers, conditions have changed and we must find ways to change with these times. If we are to ever regain things like trailer visits for lifers, weights, parole dates for lifers, and all the rest, we must be more in sync. If we want the 'end to hostilities' to really last than we need to do more, we need to implement methods which reinforce such policies as an 'End to Hostilities' and group exercise involving all nationalities and subgroups reinforce this." "The correctional sergeant who wrote up the rules violation report doesn't even bother to check to see if we're all in fact 'Southern' Hispanics, she just makes a blanket accusation and the Disciplinary Hearing Officer who heard the rules violation report takes the sergeant's report at face value and finds us all guilty. We are appealing our write-ups, but this is what can happen if others follow the tactical advice given in the USW Health Campaign letter." This is a fair warning, but this is true for anyone who tries to stand up for prisoners' rights from behind bars. Even doing so from the outside results in repression in the form of censorship, and occasionally worse. So we do not put forth these ideas lightly and this is just one tactic. But it is in line with our strategic goal, which is currently to develop peace between different groups within the prison populations. Without pushing towards that goal, conditions for prisoners will only continue to worsen. The people oppressing others for exercising are state employees who are supposed to be accountable to the law. 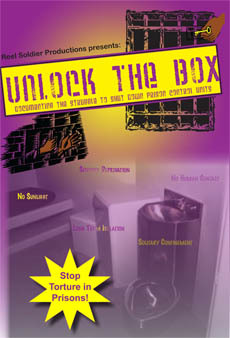 Every issue of Under Lock & Key contains just a few examples of the illegal and unjust things that they are doing. The potential for abuse in prisons is well-known and it is a struggle to hold the abusers accountable. Our struggle right now is often just to get these people to follow their own laws, which forbid torture and cruel and unusual punishment, and their own mandates which claim to promote rehabilitation. It is our job as an independent advocate for prisoners of the United $tates to challenge the legitimacy and legality of new policies that restrict the rights of prisoners. With the current trajectory in the CDCR, it seems that anyone who isn't sitting in their room by themselves watching TV will soon be considered a security threat. This department of "Corrections and Rehabilitation" is more and more becoming an Orwellian nightmare. Despite what they may think, everything they say or do is not state-sanctioned. Of course, we also know that much of what they do that is state-sanctions still is not right in the eyes of the oppressed masses and all who believe in justice. "no punishment for affiliation with a gang, security threat group, or other organization - in other words a complete end to the gang validation system that punishes people (currently puts people in the SHU for an indeterminate amount of time) based on their affiliation and/or ideology without having broken any rules or laws"
The idea that exercising can be against the rules or laws is just plain unacceptable. The same is true for any action that a prisoner takes to improve the health of hself or others around h. We continue to promote these tactics of the USW Health Campaign as part of the larger effort to maintain the end to hostilities among groups of prisoners. The end to hostilities is at the heart of this stage of our work. It is what we have been promoting with the United Front for Peace in Prisons, which was based in our assessment that the principal contradiction our movement faces today is internal to the prisoner population itself. It would be virtually impossible to progress without resolving that contradiction. At the same time, breaking down these barriers requires uniting around common concerns as prisoners in California have been doing for the last couple years. The effort for peace and the effort for humyn rights in prisons reinforce each other. We've just received word from Pelican Bay affirming the plan to go without food or work until the five core demands are met. Many within Corcoran have asserted their plan to participate again. And San Quentin's Adjustment Center has organized their own list of demands and will be participating in full this time around. Some populations facing less harsh conditions are opting to just stop work until the demands are met. Last time many prisons participated to varying degrees, and we expect similar support this time around. But comrades should think strategically about where they are based. You probably know by now whether there is a base for indefinite striking where you are. Such a path should not be taken lightly. The prisoners in Guantanamo Bay have passed day 150 on their strike and they have not gotten anything from the state but force-feeding and abuse in response. While the response to a hunger strike in Guantanamo Bay is likely to be different from a response to a strike in California, any hunger strike will have to last a long time and gain a lot of public support to get the desired results. Consider what results are possible where you are. Solidarity fasting for shorter periods can serve as agitational work to build unity and awareness. But we need to work on more long-term projects as well, like the health programs suggested here that can build solidarity in action at a basic level. It is not a crime to support each other in pursuing healthy lifestyles in a very unhealthy environment. And there are many other programs that can be developed around education, literacy and study groups and whatever other needs the people have where you are. Now is the time to do it, while spirits are rising and prisoners are looking for a way to be involved. As always, let us know what is going on where you are. We will send you updates as we get information. So stay in touch and take care of each other. The principal prisoner representatives from the PBSP SHU Short Corridor Collective Human Rights Movement does hereby present public notice that our nonviolent peaceful protest of our subjection to decades of indefinite state-sanctioned torture, via long term solitary confinement will resume on July 8, 2013, consisting of a hunger strike/work stoppage of indefinite duration until CDCR signs a legally binding agreement meeting our demands, the heart of which mandates an end to long-term solitary confinement (as well as additional major reforms). Our decision does not come lightly. For the past (2) years we've patiently kept an open dialogue with state officials, attempting to hold them to their promise to implement meaningful reforms, responsive to our demands. For the past seven months we have repeatedly pointed out CDCR's failure to honor their word — and we have explained in detail the ways in which they've acted in bad faith and what they need to do to avoid the resumption of our protest action. On June 19, 2013, we participated in a mediation session ordered by the Judge in our class action lawsuit, which unfortunately did not result in CDCR officials agreeing to settle the case on acceptable terms. While the mediation process will likely continue, it is clear to us that we must be prepared to renew our political non-violent protest on July 8th to stop torture in the SHUs and Ad-Segs of CDCR. Thus we are presently out of alternative options for achieving the long overdue reform to this system and, specifically, an end to state-sanctioned torture, and now we have to put our lives on the line via indefinite hunger strike to force CDCR to do what's right. We are certain that we will prevail.... the only questions being: How many will die starvation-related deaths before state officials sign the agreement? Onward in Struggle and Solidarity. 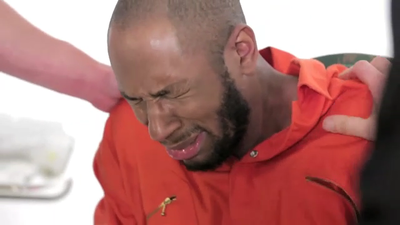 Click the image above to watch/download the video of Yasiin Bey being forcefed. Today prisoners across California are beginning round 3 of their strike against Security Housing Unit torture. It is fitting that a video has been circulating today featuring Yasiin Bey (rapper and actor formerly known as Mos Def) undergoing the same force-feeding procedure that U.$. prisoners in Guantanamo Bay have been facing for months, and that California prisoners will likely be facing in the near future. Hats off to Bey for being willing to do this to expose the torture that the United $tates is putting people through every day. After a year under the elected rule of President Mohamed Morsi, in June and July the Egyptian people once again took to the streets to protest a government that was not serving their interests. Back in 2011 the Egyptian people successfully took down Hosni Mubarak and forced the country's first elections for President. As we wrote at that time in ULK 19: "The Egyptian people forced President Mubarak out of the country, but accepted his replacement with the Supreme Council of the Military — essentially one military dictatorship was replaced by another. One of the key members of this Council is [Omar] Sueliman, the CIA point man in the country and head of the Egyptian general intelligence service. He ran secret prisons for the United $tates and persynally participated in the torturing of those prisoners." But the Egyptian people were not fooled, and they rightfully took to the streets to force further change this summer. Still, we do not see clear proletarian leadership of the protests, and instead the U.$.-funded military is again stepping in to claim the mantle and pretend to represent the people. Morsi is widely considered "Egypt's first democratically elected president." Prior to the elections in 2012 the country was led by an elected parliament and an unelected President, Hosni Mubarak, a former general who took power after the assassination of his predecessor in 1981. But it's important to consider what "democratically elected" really means. Democratic elections presume that the people in a country have the ability to participate freely, without coercion, and that all candidates have equal access to the voting population. Most elections in the world today do not actually represent democracy. In many countries dominated by Amerikan imperialism, there are elections, but we do not call these democratic, because it is not possible for candidates without lots of money and the backing of one imperialist interest or another to win. When democracy gets out of imperialist control and an anti-imperialist candidate does participate and win, they better have military power to back them up or they will be quickly murdered or removed by military force (see "Allende in Chile" or "Lumumba in the Congo"). We should not just assume that people participating in a balloting exercise represents democracy for the people. There are some key political reasons why Morsi won the presidential election in 2012. Representing the Muslim Brotherhood, Morsi was well educated and spent several years getting a doctorate in the United $tates and teaching at University in the 1980s. He is certainly not one of the 40% of the Egyptian population living on less than $2 a day. (1) The Muslim Brotherhood has long been a well organized activist group, which despite being banned by the government from participating in Parliamentary elections was allowed to organize on the streets as a counterforce to progressive anti-imperialist parties that faced complete repression. (2) Demonstrating the advantage it had over other banned organizations, the Muslim Brotherhood put together the most effective electoral campaign after Mubarak fell. 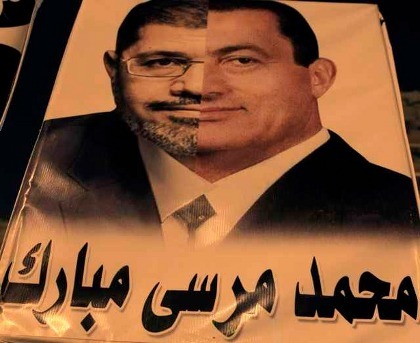 It is telling that the runoff in the presidential election was between Morsi and Ahmed Shafiz, the prime minister under Hosni Mubarak, and the vote was close. Essentially the election was between a representative of the status quo that had just been overthrown, and a candidate who promised to be different but represented a conservative religious organization. The military has once again stepped in to the vacuum created by the mass protests demanding the removal of President Morsi, pretending to be defending the interests of the people. This position by the military is no surprise after Morsi, in August, stripped the military of any say in legislation and dismissed his defense minister. The military selected the leader of the Supreme Constitutional Court to serve as interim president after Morsi stepped down. Morsi still enjoys significant support among the Muslim Brotherhood in Egypt who continue to take to the streets to demand that he be freed from military prison and returned to power. The Egyptian military actually has a long history of institutional power. In 1981, after Mubarak took power, the military expanded with the help of Amerikan aid. This aid came as a sort of bribe, as up until the 1977 peace accord Egypt had been attempting to lead an Arab resistance to Israel's occupation of Palestine, a cause the people of Egypt continue to support to this day. Since then the military has remained one of the top receivers of U.$. military aid, second only to Israel itself, until 2001 when Afghanistan became the largest. The armed forces in Egypt used this economic power to take up significant economic endeavors entering into private business with factories, hotels and valuable real estate. (3) It is clever leadership that allows the military to divorce itself from failed leadership of Egypt time and again while acting behind the scenes to ensure that only those individuals they support, who will carry out their will, gain the presidency. This is not a democracy. And the leadership of the armed forces will continue to serve their Amerikan masters, not the will of the people, as General el-Sisi is once again claiming. MIM(Prisons) supports the interests of the masses of Egyptian people as they ally with the interests of the world's majority who are exploited by imperialism. We praise their ongoing activism in taking to the streets when the government is not meeting their needs. But we can learn from history that deposing one figurehead does not make for revolutionary change. Fundamental change will require an overthrow of the entire political institution in Egypt that is dependent on U.$. imperialism. And while President Nasser offered an independent road for Egypt during the anti-colonial era following WWII, true independence requires the full mobilization and participation of the masses in creating a new system based on need and not profit. It is a truth in humyn history that those with the guns and power will not voluntarily step aside, but they will make cosmetic changes to try to fool the masses into complacency. We call on the Egyptian people, who have repeatedly demonstrated their willingness to sacrifice for the movement, not to be fooled and not to allow electoral politics to drain their momentum. The military is not on your side, and neither are any of the branches of the existing government. Seize the power you have demonstrated in the streets and build for fundamental, revolutionary change to a government that actually serves the people and not the elite. 1. Slate, Protesting on an Empty Stomach: How the egyptian economy is fueling unrest in egypt, 31 January 2011. 3. National Geographic, The Egyptian Military's Huge Historical Role, 5 July 2013. Even though the rate of white voter turnout was more than twice that of New Afrikans, and some 90% of whites supported the other guy, Lumumba came out victorious. (1) All of these facts support the decision of the MXGM to focus on building a base of power within New Afrika in Jackson, Mississippi. However, elections themselves cannot be a tool for liberation or independence, and the only cases where MIM(Prisons) might promote them would be for tactical victories. This election was part of a strategic plan that MXGM released almost a year ago. The idea of the oppressed nations building organizations that are independent of and not funded by the state can be a controversial issue in this country. While there is nothing illegal or inherently threatening about organizing independent from the state, Amerikans rely on repression in order to prevent the self-determination of the oppressed nations. If the oppressed nations are to break free from imperialism's choke hold, it will threaten the luxurious lifestyles of the average Joe the plumber who lives off the wealth of oppressed nations abroad. We saw one example of this mentality among Amerikans when recent issues of Under Lock & Key were censored in North Carolina specifically citing as the justification the fifth point of the United Front for Peace in Prisons — Independence. While "independence" is a fairly broad term used to define a thing in relation to another thing, "dual power" has a much more specific meaning to Marxists. Independence on its own does not constitute the establishment of "dual power." When MXGM uses the term "dual power" they appear to really be talking about parallel strategies of community organizing and electoral politics. Dual, of course meaning two, would imply that you would have two different political structures with their own police, army and prisons, etc. in order to have dual power. Such a situation would mean that a civil war had begun. When Lenin first coined the term in 1917 he was speaking of the emerging Soviets of Workers' and Soldiers' Deputies that would seize state power later that same year. (4) Certainly this is not the condition in Mississippi today. MXGM recognizes their electoral efforts are limited, and considers them one pillar of their strategy of building political power in the region that is separate from their work to build autonomous structures (People's Assemblies). (2) But these People's Assemblies are not parallel to the Soviets in 1917 or the liberated zones in China in 1948 or even the countless regions in the world today where power is held by emerging states (see Palestine, India, Colombia, the Philippines, etc). Within the context of oppressed nation territory, there is an argument to be made for engaging in electoral politics as a step towards building one's base. While the Lumumba campaign has a clear connection to revolutionary nationalism, it is not based in proletarian ideology. Revolutionary nationalism can come in different class forms. The lack of proletarian ideology leads them to succumb to populism. Populism threatens New Afrikan independence because of the economic pull of U.$. imperialism. With "economic development" as part of his political platform, it seems hard for Lumumba to avoid playing the role of bribing his own people with superprofits won from imperialism. This is one reason it is hard to justify supporting electoral work except to make tactical gains. The MXGM economic program, the "third pillar" of their Jackson Plan, focuses on cooperative economics and building green economies. Such a strategy does not confront the structure of capitalism, but is a concession to petty bourgeois idealism. As long as capitalism exists people are either exploited or exploiters, so all efforts should be on exposing the need to end that system rather than white-washing it with co-ops and eco-friendly operations. There is no example in history of building new economic systems that effectively challenged capitalism without first establishing true dual power. Therefore if dual power is not feasible in our conditions, these economic strategies become reformist at best. We are better off struggling to maintain our political independence at this stage. 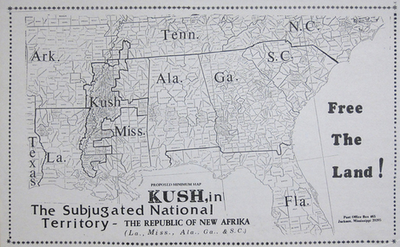 While running for and being elected Mayor limits Chokwe Lumumba politically, the public release of the Jackson-Kush Plan a year prior means that his landslide victory represents a majority of New Afrikans in Jackson who are at least open to the idea that political independence from Amerika is in the interests of their nation. Establishing that fact in the eyes of the New Afrikan masses is one small victory on the road to New Afrikan liberation. But electoral politics are a feeble bridge. The more people rely on it to reach liberation, the sooner it will fall out beneath them. Unless the bridge is strengthened with correct revolutionary theory, it will be doomed to leave the New Afrikan masses on the wrong side of history. 1. Bob Wing. Voices: From 'Mississippi Goddam' to 'Jackson Hell Yes', The Institute for Southern Stuides. 2. The Jackson Plan: A Struggle for Self-Determination, Participatory Democracy, and Economic Justice. Malcolm X Grassroots Movement, July 2012. 3. VI Lenin. The State and Revolution, Chap. 1 Section 2. 4. VI Lenin. The Dual Power, Pravda NO. 28, April 9 1917. Subscribers Declining Because of Too Much Criticism? Mayor Chokwe Lumumba Dead - Demand An Autopsy! Jeffrey Archer is a well known fiction author and former member of Parliament in Great Britain. He was Deputy Chairman of the Conservative Party for a year (1985-86). Archer was still active in government politics as Conservative Party candidate for mayor of London in 1999 when he was convicted of perjury and conspiracy to pervert the course of justice and sentenced to four years in prison. 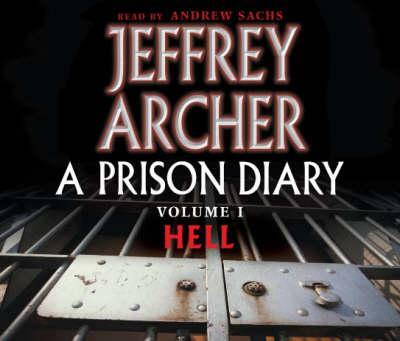 Archer kept a daily diary in prison and released it as a series of three books. This review covers the first book, which is about his stay in Bellmarsh, where Archer began his prison sentence. On the positive side, this book is written for a general audience unfamiliar with prisons, and exposes many of the injustices and failures of the British prison system. These same failures, on a much larger scale, exist in the Amerikan criminal injustice system. For instance, British prisons have drug testing regulations that actually encourage marijuana users to become addicted to heroine. Archer documents his interactions with some very intelligent, resourceful, and humane prisoners in Bellmarsh, a high security prison associated with violent criminals. He repeatedly points out the lack of opportunities for prisoners, and the screwed up system that pushes people locked up for minor offenses into a life of crime. Archer also does a service to the fight against the imperialist prison system by documenting the failure of day-to-day rules and regulations to serve any purpose but torture and isolation. From the lack of access to edible food and water, to the many long hours locked up isolated in cells with no activity, to the restriction on cleaning supplies, Archer details many failures of the British prison system. These conditions, bad as they are, when compared to the Amerikan prisons, seem almost luxurious. In particular, there are restrictions on prisoner abuse by staff, which seem to be actually respected and followed, at least where Archer is concerned. Overall, this book is useful as a contribution to bourgeois literature on prisons because it no doubt was widely read by people who otherwise have little exposure to conditions in prison in England. However, it does not expand or contribute to the revolutionary analysis of prisons in any way, and so it leaves its readers hoping someone in power in the government takes heed of the problems and decides to make some changes. 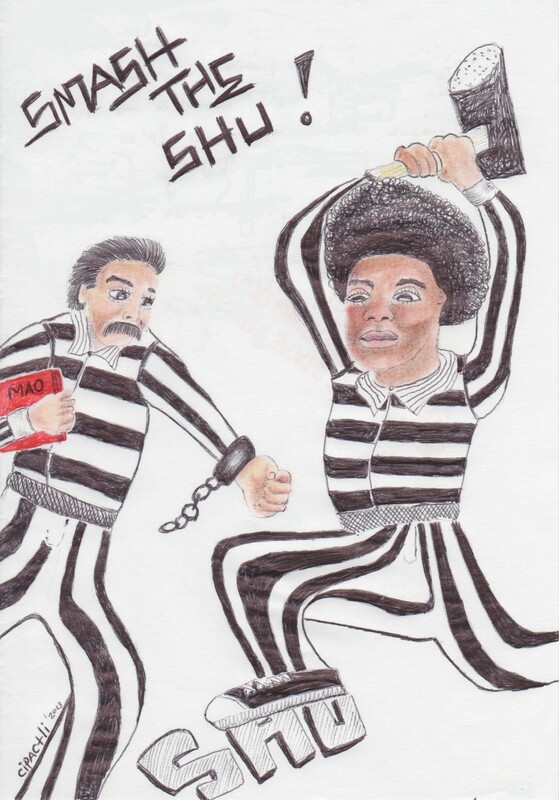 We recommend readers interested in learning more about prisons in the United $tates read the more revolutionary books and magazines distributed by MIM(Prisons). Or at the very least, for a more mainstream but still very useful analysis, The New Jim Crow, by Michelle Alexander, is a good starting place. We are not aware of revolutionary literature on the prisons in England and welcome suggestions from our readers on this subject. 1. International Center for Prison Studies. 2. The Guardian, October 11, 2010. 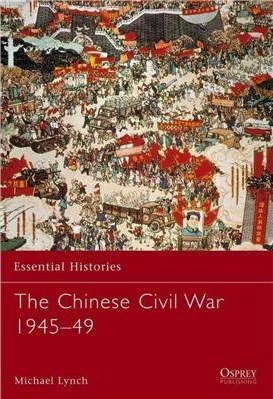 This is one in a series of "Essential Histories" published by Osprey: "A multi-volume history of war seen from political, strategic, tactical, cultural and individual perspectives." On the positive side, the book includes a lot of excellent revolutionary art and some useful historical facts that demonstrate the political positions of the Chinese Communist Party (CCP) and the failures of the Guomindang (GMD). But overall this book is not recommended because its pretended objectivity leads to a lack of valid political analysis. The author goes to great lengths to paint both the CCP and GMD as equal evils fighting for control of China. There are some valuable facts in this book. Lynch points out that Nazi Germany supplied most of the GMD weapons until 1936. And goes on to offer a good explanation of the reasons behind the CCP alliance with GMD in 1936, which was driven by the CCP to fight the Japanese invasion and end Nazi aid to GMD. This effectively weakened the GMD while also focusing on the principal contradiction in China at the time: the Japanese invasion. Lynch also does a good job explaining the CCP's strategic ties to the United $tates to get their support against Japan. Many purists criticize Mao for meeting with Amerikan leaders and allying with the GMD against Japan, but to Lynch's credit he gives a reasonable account of the strategic value of these actions. Calling the peasants "helpless victims" of both the communists and nationalists,(p63) Lynch gives extensive examples of nationalist brutality to soldiers and peasants. The one CCP example is of interrogation of CCP soldiers suspected of betraying the movement. The author quotes Mao on the value of informing on your comrades in spite of persynal feelings of friendship. (p68) Lynch seems to find Mao's position distasteful, but communists know that we must always put political line first and not be liberal with comrades just because we have persynal feelings. Further, a staunch supporter of the U$A, Lynch never mentions the use of torture by imperialist countries even when not at war. Interrogation of people suspected of military sabotage can be criticized from Lynch's armchair, but his equation of this with the GMD torture of their soldiers and the general masses is outrageous even by his standards. Lynch condemns the CCP as being non-humanitarian for their strategic military calculations to abandon some villages they had controlled when threatened with invasion from the GMD. (p28) This is a particularly underhanded criticism when Lynch fails to point out the significantly better conditions in the villages occupied by the CCP. How can it be a humanitarian failure if the CCP wasn't, in the first place, improving the conditions in the village and far superior for the peasants compared with the GMD? We do get some very useful facts about the CCP support among the general Chinese masses: "A key factor in the PLA's harassing of the Nationalists was the amount of help they received from local civilians, who destroy telegraph and telephone lines and tore up sections of railway in order to disrupt GMD troop movements. "(p36) But Lynch doesn't attempt to explain why the masses spontaneously supported the CCP because this does not fit with his overall theory of both the CCP and GMD coercing the people. Ultimately Lynch attributes the CCP victory to the GMD's failure in military tactics and "morale" with little mention of the political line of the CCP. He does concede that GMD did not live up to expectations as a party of the people as it was originally envisioned by Sun Yat-sen. The GMD under Chiang became a party of the political elite as evidenced by 90% of their money coming from Shanghai. (p84) "It was Chiang's strategic and political and economic failures that [made possible Mao's victory]. "(p88) In the end, Lynch doesn't even consider the correctness of the CCP political line, resulting in the support of the broad mass of the Chinese people, as the driving force behind the victory of the revolutionary forces. After decades of expanding the repression of the U.$. prison system, and despite their effectiveness in misleading and breaking up unity, the control units remain a flashpoint of struggle within U.$. borders. These flashes do take time to develop, due to the excessive restrictions placed on those in these units. So when they do come to light, they emerge from much struggle and are not likely to fizzle out soon. The struggle against control units is a struggle against torture. It is a struggle against not just the violation of some of the most basic rights that this country was founded on, but also basic humyn needs like sunlight, exercise, mental stimulation and social interaction. As U.$. president, Barack Obama once honored Rosa Parks and the movement of civil disobedience that she symbolized. It was a movement of Black people for basic rights under U.$. imperialism. Yet today the Obama administration gives its explicit approval to the torture and repression going on in a country that imprisons more of its population than any other state in humyn history, and a higher percentage of Blacks than the openly racist Apartheid state of South Africa. U.$. prisons also hold a higher percentage of their prisoners in long-term isolation than any other state that has been documented. The 2014 federal budget proposed by Obama includes an overall increase in funding for the Federal Bureau of Prisons. More damning, it describes the remodeling of the recently acquired Thomson Correctional Center in Illinois to include an Administrative Maximum Custody (ADX) and Special Management Unit (SMU). ADX "houses the most violent, disruptive, dangerous and escape-prone inmates within the Federal Prison System including those convicted of terrorist activities." "The SMU program is for inmates who have participated in or had a leadership role in geographical group/gang-related activity or those who otherwise present unique security and management concerns." The budget proposal claims that one in six prisoners in maximum security are "gang affiliated." It does not specify how many of the 2100 beds will be SMU or ADX classified. (1) While lawsuits challenge the constitutionality of the treatment people face in these units, and international bodies like the United Nations condemn them as torture, the Obama regime is providing clear leadership to the hundreds of state and local agencies involved in the U.$. prison system on how prisoners are to be treated. Obama's role is even more clear in Guantanamo Bay, where prisoners are being held as enemy combatants by the military. Prisoners there began another hunger strike on 6 February 2013. Since then the ranks of the strike have grown to over 130 people. (2) Many are being force-fed, and many are skeletal in appearance now. All this is being done as the United $tates still has the audacity to claim it is promoting freedom around the world, with bombs. As we highlight the connections of the struggle against control units to the struggle against the imperialist system itself, the global importance of this struggle becomes evident. As RAIM pointed out in their recent statement to the international communist movement, failures at building socialism in the past have been connected to a temptation to imitate Amerikan ways. One way the anti-imperialist minority in the First World can strengthen the movements in the Third World is by making it very clear that this is not a model to follow, and that the Amerikan dream is built on torture, genocide, exploitation and injustice. "I will never forget the first time they passed the feeding tube up my nose. I can't describe how painful it is to be force-fed this way. As it was thrust in, it made me feel like throwing up. I wanted to vomit, but I couldn't. There was agony in my chest, throat and stomach. I had never experienced such pain before. I would not wish this cruel punishment upon anyone. "I am still being force-fed. Two times a day they tie me to a chair in my cell. My arms, legs and head are strapped down. I never know when they will come. Sometimes they come during the night, as late as 11 p.m., when I'm sleeping. Comrades from NCTT-Corcoran-SHU (a New Afrikan think tank) have reported that staff at Corcoran State Prison have been announcing similar plans to prisoners in California, indicating that they will not be providing proper medical care and attention to strikers in their prison in the future. These threats, which violate state policies, will also result in undercounting strikers. (4) It is possible that information will not flow as freely this time around, meaning outside supporters will have little information to go on until the struggle is over. This reinforces the need for strong unity among those inside and the ability to act independent of outside support. We've also received word of plans to move prisoners and staff around strategically over the next couple months. In particular, Special Needs Yard prisoners are reportedly being moved to other facilities and given work assignments. Prison staff apparently thinks this will dilute the spirit of prisoners. However, depending on the balance of forces, this could go either way. We know there are strong supporters of the prisoners' rights movement in SNY already, and we hope these coming months provide the conditions to further break down the divisions within the imprisoned lumpen class. While we know that staff regularly bribe prisoners to create disruptions among the population, the mass support for the interests of all prisoners will make it hard for these bribed prisoners to create disruptions openly in the coming months, hopefully longer. There have been positive reports of prisoners being moved to areas they once could not go, as a result of the agreement to end hostilities that has been in place for over 6 months now, which was endorsed by the largest organizations in California prisons. In particular, positive reports have come from Pelican Bay and Corcoran, where two of the main SHUs are located. San Quentin death row has also reached out to share ideas to build their own prisoner rights campaign over the coming months. We have received some letters about ideas on tactics for advancing the prisoner rights movement in California. We've printed some in ULK and shared others with United Struggle from Within members in California. But in most cases it is impossible for us to have a full understanding of the balance of forces, and thus we are not in a position to determine which tactics are best. In addition, conditions vary so much between facilities. Clearly the comrades in Pelican Bay and Corcoran took the lead in struggling to shut down the SHU and they will likely continue to do so. What we can say for sure is that July 8 will be an opportunity to have your voice amplified by acting in solidarity with all across the state, and many in other states as well. To determine how you can best do this, you must think through and balance the effectiveness of your tactics with the risks involved. Where we can provide leadership is in our ideological alignment. Some lists of goals that are circulating include things that are not humyn needs. These demands may be subjectively popular among the prison masses, but will greatly damage support from the outside and internationally by trivializing the struggle for basic rights. As we presented in ULK 31, below are the strategic goals that, if attained, we think would represent the establishment of basic humyn rights for prisoners (note a small change to point 1.f.). 1. Federal Prison System FY 2014 CONGRESSIONAL BUDGET, U.S. Department of Justice. 3. SAMIR NAJI al HASAN MOQBEL. Gitmo Is Killing Me. The New York Times, 14 April 2013. While many of our readers write to us to express the lack of consciousness and unity in the prisons where they are held, one USW comrade pointed out in ULK 31 h realization that ULK is a venue where conscious prisoners can come together and build, minimizing that isolation. 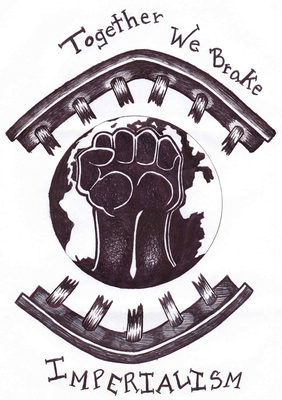 We try to make ULK a tool that helps the development of the growing new prison movement. But primarily it is to be the "voice of the anti-imperialist movement" in U.$. 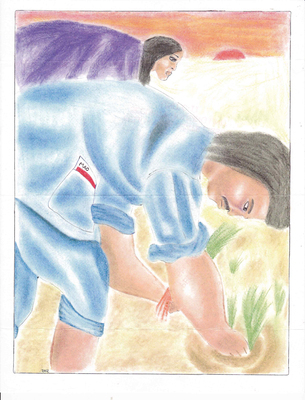 prisons, and it is a Maoist-led project. This not only sets this newsletter apart, but makes for what we believe is a more effective way to address oppression. Over the years, we've received comments from some USW comrades that ULK is too light on international news and analysis. With all the reader surveys we've gotten back recently, we've had many say they love the content of ULK and like to hear about similar struggles throughout the U.$. prison system. But a few have said they find the prison reporting dry and, more importantly, it does not provide a clear political message to the less ideologically developed comrades. If true this would be a grave error. Even if we unite the handful of conscious comrades in each prison across the country, we are still only dealing with a small minority of prisoners, not to mention the whole U.$. population. One young comrade recently wrote us, "I write this because I seek advice. At times I feel like giving up trying to fight this fight because it seems like I'm here fighting by myself." While the day-to-day struggles of USW comrades are primarily focused on the conditions of oppression that the prison masses around them face, a reformist strategy would understandably lead one to defeatism. This is particularly true if you accept our line that Amerikans in general support the current injustice system and have made it what it is today. How could asking them for change ever change anything? That is why we strive to help prisoners build reformist battles in targeted ways that build a movement, while realizing the limitations of such struggles. Campaigns for prison reform are a tactic to push the prison movement to develop. One important piece of our strategic orientation is the strategic confidence we have from our global class analysis. Basically, our analysis says that the vast majority of the world's people, a solid 80%, will benefit materially from an end to imperialism. This is why we believe anti-imperialism is destined for success. Subjectively, this can be important to keep in mind in an environment surrounded by class enemies or by those with bourgeois consciousness. Pulling these theoretical points together into our practice, as editor i will continue to push for international content in each issue of Under Lock & Key, as has been our policy. One way i plan to expand the international connections we make is to have a section in each issue to print news snippets on events from the Third World that demonstrate determined resistance and a broad class consciousness that is opposed to imperialism. We hope that our readers find inspiration in this information that you probably aren't getting from other news sources. With no further ado, here are a few recent events that help illustrate why we have strategic confidence in the people's struggle against imperialism. Paktiya province of Afghanistan, 17 April 2013 - Hundreds of angry residents protested against NATO occupation troops for conducting a night-time raid that killed at least one citizen. (Khaama Press) The sentiments of the people of Afghanistan are so clear that even U.$.-backed President Karzai has continuously called for an end to these raids led by the Amerikan military. Meanwhile, Hezbollah's Nasrallah said in a TV statement, "Syria has real friends in the region and the world that will not let Syria fall in the hands of America, Israel or Takfiri (extreme jihadi) groups. "(The Guardian, 30 April 2013) Russia and Iran continue to support the Syrian government, while Obama threatens intervention and Israel has reportedly bombed the capital of Damascus. This over two year "civil war" is an example of why we say World War III is already here, and it is characterized by U.$. hegemony and low-intensity warfare in the Third World involving both local interests and the conflicting interests of the imperialist camps. Finally, in Ecuador, the media has covered the continuing struggle of the Wuaroni and Kichwa people who have pledged to fight to the death to keep oil operations out of their homeland in pristine Amazon rainforest habitat. 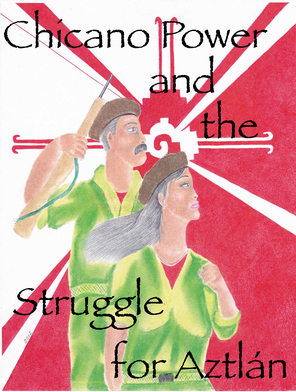 Both struggles stand strong against formidable opposition of the local state and multinational corporations. Charlie Kernaghan of the Institute for Global Labour and Human Rights was interviewed for a segment on the recent tragedy in Bangladesh and the labor struggle in general. Kernaghan informed us that 421 people are confirmed dead and another 1000 are still missing, meaning they are probably dead under the rubble of the factory that collapsed. He explained that the workers were not only threatened with no pay for the month, which would equal going hungry, but they faced the immediate threat of thugs with batons. As the recent fertilizer explosion in Texas showed, the profit motive under capitalism puts everyone's lives at risk. Still, there is a quantitative difference between being forced back into a dangerous situation with batons, and being unaware that it exists. The relative risk faced in the Third World is higher. As MIM and others have shown elsewhere, there is a qualitative difference between First World wage earners in that they earn more than the value of their labor and are therefore exploiters, in contrast to the exploited proletariat. (2) The conversation around the Bangladesh tragedy degenerated into white nationalism when interviewer Amy Goodman began asking about what is to be done. After cheerleading for more protection of Amerikan wages, the guest began calling for trade barriers to goods from countries like Bangladesh until they can follow certain labor standards enforced by U.$. law. Such opposition to free trade organizes the exploiters at the expense of the exploited. "Well, like I said with the legislation, it's not our job to set wages around the world. That's up to the people in their individual countries. But what we can do is we can demand that if you want to bring the products into the United States, that these workers must have their legal rights." How is it that we can enforce child labor laws, but when it comes to wages the Third World is suddenly on their own? How can you talk about international "labor solidarity" without talking about an international minimum wage? The idea is ridiculous and the only reason it happens is that the Amerikan labor leaders know that the average wage in the world is well below what they are already making. They want to keep earning more than their fair share, while putting up trade barriers for products produced by exploited labor. We presume that the people of South Asia will not mistake people making $20k a year, and much more, as being part of the proletariat. But as we come closer to the heart of empire, the proletariat's class view becomes more and more skewed. There is no better example of this than in Aztlán today, where migrant workers see the vast wealth around them and the possibility of getting a piece of it. After the oppressed nations took over May Day in the United $tates seven years ago, the left-wing of white nationalism worked overtime to infuse this new proletarian movement in the belly of the beast with the line of the labor aristocracy. Today, as the federal government claims to be close to enacting "immigration reform" that will amount to more Amerikan exceptionalism and favoritism, we favor the focus on reunification of families that some in Los Angeles called for on this May Day. This is an issue that ties in well with the national question, rather than economist demands for more access to exploiter-level wages. Reunification challenges the repressive border that keeps families apart, and keeps whole nations of people alienated from the wealth that they produce. As integration in the United $tates has advanced, challenging the border and fighting white nationalism, or better yet First Worldism, needs to be at the center of a progressive proletarian movement in Aztlán. These are the issues that really sparked the massive May Day rallies in 2006 in response to pro-Minutemen Amerika. (3) This is the spirit that we celebrate this May Day.